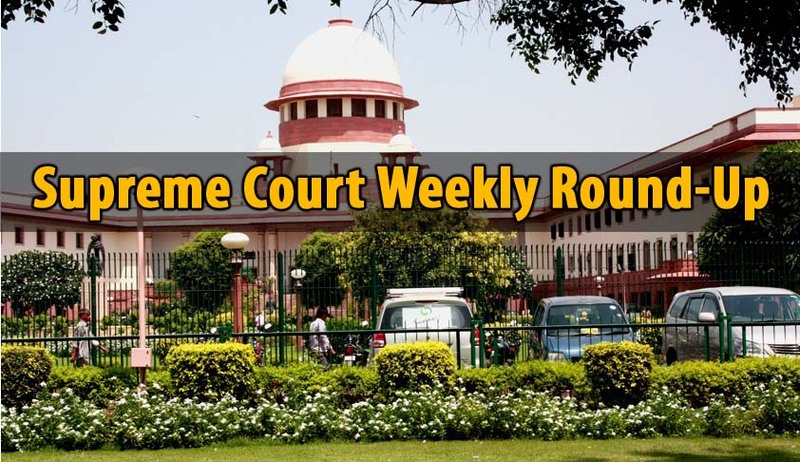 The Supreme Court of India clarified that, its Judgment in Secretary, State of Karnataka vs. Uma Devi has not prohibited the State from giving weightage for the service rendered by employees where services were used by the State either temporarily or on adhoc bases, including daily wage basis, irrespective of the regularity of their initial entry into the service. Apex Court bench made this pertinent observation in Sachivalaya Dainik Vetan Bhogi Karamchari Union, Jaipur VS. State Of Rajasthan. The Supreme Court in Virender Khullar vs. American Consolidation Services Ltd., reiterated that defence under Section 230 of Indian Contract Act, 1872 is available in the cases under Consumer Protection Act, 1986 by the agents of the principal with whom the complainant had the agreement. Supreme Court of India on Wednesday held that the disputes relating to Trust, trustees and beneficiaries arising out of the Trust Deed and the Trust Act are not capable of being decided by the arbitrator despite existence of arbitration agreement to that effect between the parties. The ApexCourt in Central Coalfields Limited & Anr vs. SLL – SML (Joint Venture Consortium) & Ors. held that, decision taken by the employer about essentiality of a term of the Notice Inviting Tender should be respected and lawfulness of that can be questioned on very limited grounds. A Supreme Court bench on August 4, dismissed the curative petition filed by the National Commission for Women (NCW), by circulation, against its 2014 judgment in Arnesh Kumar v State of Bihar. A subtle but fundamental distinction between “Loss of Estate” and “Loss to the Estate” was discussed in Omana P.K. and others v. Francis Edwin and others (2011 (4) KLT 952). This Judgment was challenged before the Apex Court, which has now dismissed the Appeal. Expressing concern over illegal sale of service weapons and gun licenses by army personnel, the Supreme Court on Tuesday directed the Defence Ministry to ensure that sale of non-service pattern weapons must be under strict scrutiny and supervision of the competent authority. Supreme Court on Wednesday issued notice to the Maharashtra Government and Centre on an Appeal which challenged the May 7, 2016 Judgment of the Bombay High Court that allowed possession and consumption of beef brought into Maharashtra from outside the State. The Supreme Court bench held on Tuesday that there is no obligation on the State of Madhya Pradesh to raise the height of the road so as to erect a Bandh to keep five villages free from submergence at all times, due to the construction of the Omkareshwar Dam. A three-judge bench of the Supreme Court on Wednesday referred to a five-Judge Constitution bench, the question whether the Apex Court is exempted from disclosing how it appointed its Judges under the Right to Information Act.